Look out, world. Here we come! 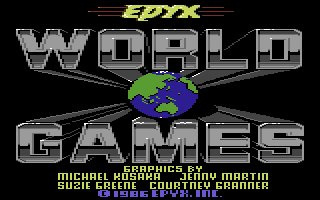 After the well received Summer and Winter Games, Epyx turned their attention to various events from around the globe and brought us World Games. As before, you have the choice of which events to play, and can compete with up to 8 players (each picking a country to represent). Only two of the eight events allow for simultaneous play, with players taking turns at the..
Look out, world. Here we come! You're about to travel the globe with Epyx to compete in eight of the world's most glamorous and unusual sports. From Europe to the Far East, you'll be ocean-hopping to the sites where daring divers sail from rocky cliffs and giants of men match raw power in the sumo ring. You're going to be on their home turf. But it doesn't matter. You'll wipe them out. In any language, you're about to experience the thrills of World Games. Bonne chance! So is this worth the cash? Or is it a poor Cali games knock off? I know the sports are different, but I mean in general of "Wow, Cali was huge, let's make one ourselves and ride of its success". In terms of quality they're about equal, this one has more events though so you could say this one is slightly better. 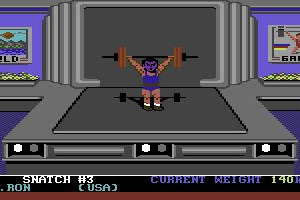 I like this one better than California Games, but come on Epyx, bring us Summer Games and Winter Games already. This one's actually older than California Games, so it can hardly be a ripoff. Just been looking this up- this seems almost amusingly badly researched! It has barrel jumping as the natinoal sport of Germany (from a bad encyclopedia), whgen that is apparently unknown, and it has the point of caber tossing wrong! What other countries are on this game? One of my all time favourite multi-event sports games, featuring events from around the world of varying levels of insanity and joystick waggling. The graphics and sound are quite simplistic, but it's still great fun. Kinda like World Sports Comp. Its better if you have 4-5 players because the computer is almost unbeatable. WG is far superior to CG in my view - Caber Toss, Cliff Diving and Bull Riding are superb! And Log Rolling is great with 2 players! Kelvin, Barrel Jump is hard, yes. Wow! 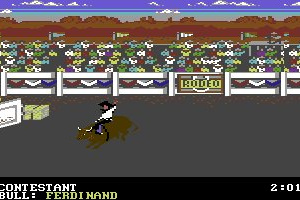 Didn't expect to ever see this game again, used to love it back on the C64. 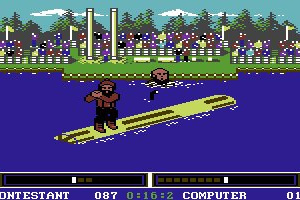 What other game has log rolling and log tossing in it? Brilliant! 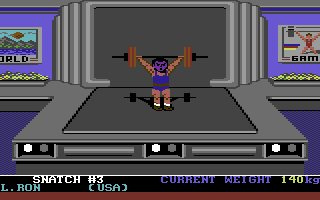 Come on how long does America have to wait untill the C64 games come on to the VC!!! 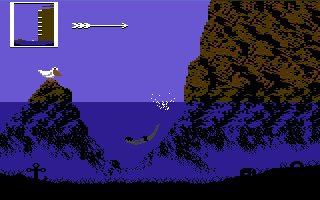 !Well this, The Last Ninja, and Calfornia Games are th only C64 games I would get except for maybe Uridium. I think this got a gold medal rating in ZZAP64 magazine when it first came out. I used to love this game and played it all the time. The sumo was always really hard to win. Did summer games have the 100m sprint?? 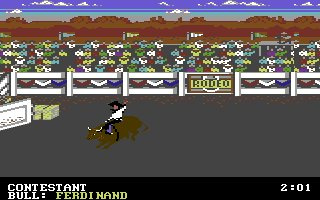 Is there anyone else who played the c64 game with the sprint? In it you had to wobble the joystick left-right as fast as possible to run. My question is, did that destroy your joysticks?? I remember snapping one or two because they just couldnt take the repetitive wobbling. I ended up with a few joystick bases, with a chopstick or something stuck in there to keep some functionality lol. 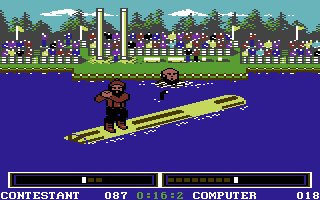 I can't remember if summer games had the sprint, but daley thompsons decathlon was a real joystick destroyer. Back then I had a konix speedking, what an excellent stick that was. I certainly broke more than my fair share of sticks during my 64/amiga days. Happy times indeed. How had I missed this!!! I am 23, and getting my masters in Computer Science, but the C64 was my first computer. 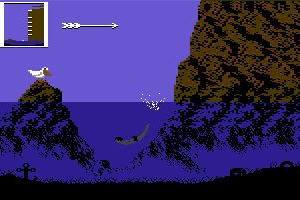 I used to play this game (and some other great C64 games) with my brother. I loved barrel jumping and cliff diving! I highly suggest this game if it is half as fun as I remember it! ...Wasn't the Master System version better? A HUGE favourite along with California Games. 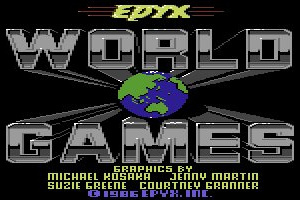 Epyx really was amazing back in the day. 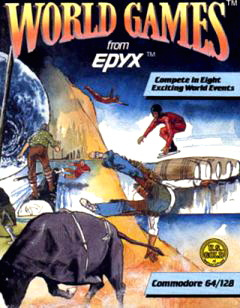 Winter Games is my favorite of the series, but World Games is a lot of fun too. Some very unique events to take part in. my friends and i have world games and we can not figure out the bull riding. 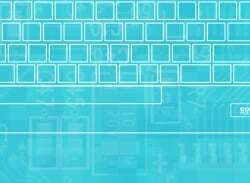 what buttons do you push and what sequence, if any, do you use? help!! This is on the cover of my copy of Issue 200 of EDGE. Absolutely gutted, I am.